Iridology can be defined as the science of studying and analysing the signs in the iris. It is a non-invasive diagnostic technique that provides a trained practitioner with important information of a patient’s overall state of health and strengths and weaknesses. It reveals each individual’s genetic make-up. Since the nervous system connects the iris directly with the brain Iridology is an extremely power tool that gives a trained practitioner the ability to view both the quality of the connective tissue of the iris and the functioning of the nervous system. 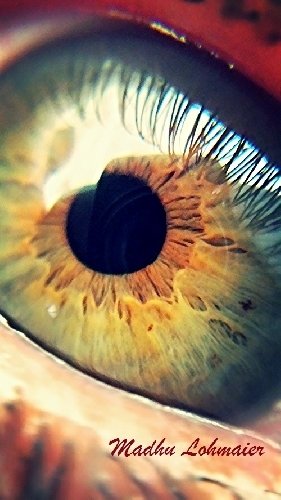 The Iris can be called the fingerprint of the body as it reveals each individual's genetic make-up. It displays, much like a television screen, every single stimulus from the body the brain receives. Any change in the body’s functions, or any disturbance in homeostasis can be seen and interpreted through Iridology. The tissue changes that take place in the body make Iridology an especially valuable tool in the treatment of chronic diseases. The signs in the iris reflect the genetic inherited pattern in constitutions, together with structural, colour and neurological changes that occur within the iris over a period of time. These signs may indicate abnormal tissue conditions. Iridology cannot determine disease; instead it is used to recognize the individual constitution, inherent strengths and weaknesses, toxins and their location, poor waste clearance, inflammation, biochemical deficiencies and the general health of the individual. Signs of biochemical and physiological needs and changes in the body can be detected long before the appearance of symptoms, thus enabling the trained practitioner to prevent disease before it can manifest.